Romance, truth, and commitment: these are the wonderful qualities that are believed to come attached to a sapphire engagement ring. 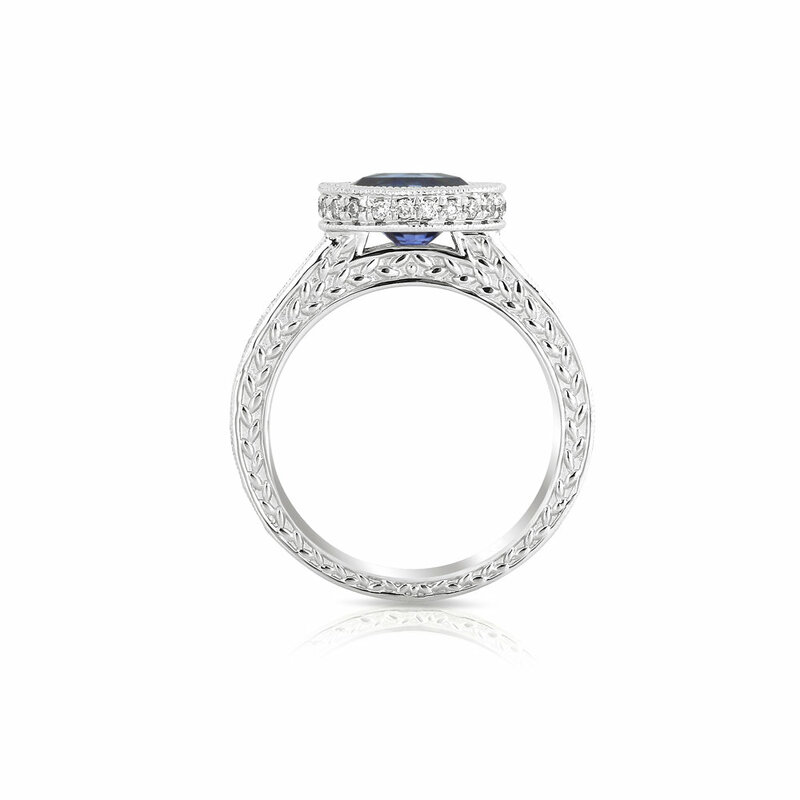 This particular ring is accented with a beautiful band covered in channel-set baguette diamonds, and lovely milgrain detail around the stunning sapphire. The band itself is covered with a gorgeous wheat pattern: this was a specifically chosen design, as wheat traditionally symbolizes the cycle of life. To the happily wedded couple, this ring is a symbol of a union that is rich with love and deeper meaning.